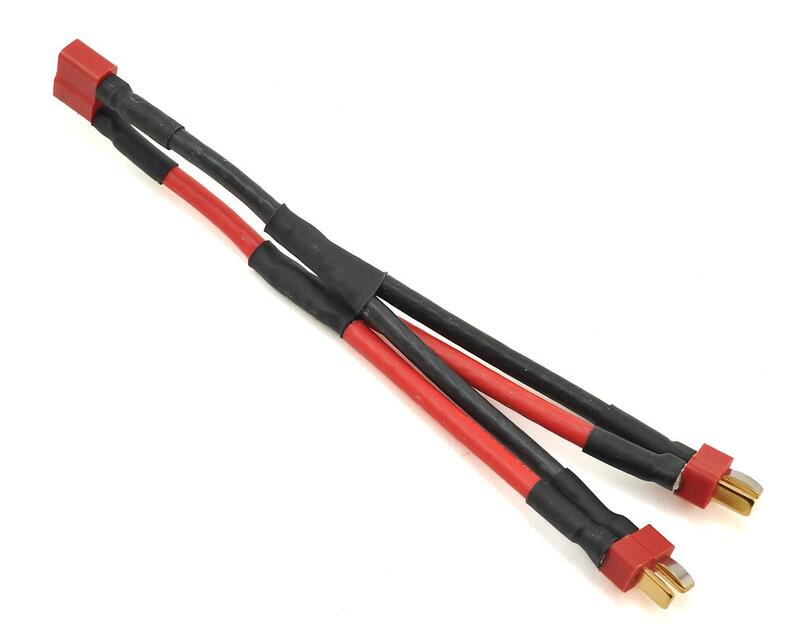 The Castle Deans Ultra Plug Parallel Y Harness allows you to connect two battery packs in parallel, combining the capacity of your battery packs. For example: two 3s (11.1V) 6000mAh packs will have the capacity of 12,000mAh when combined with this harness, but remain at 3s (11.1V) voltage. 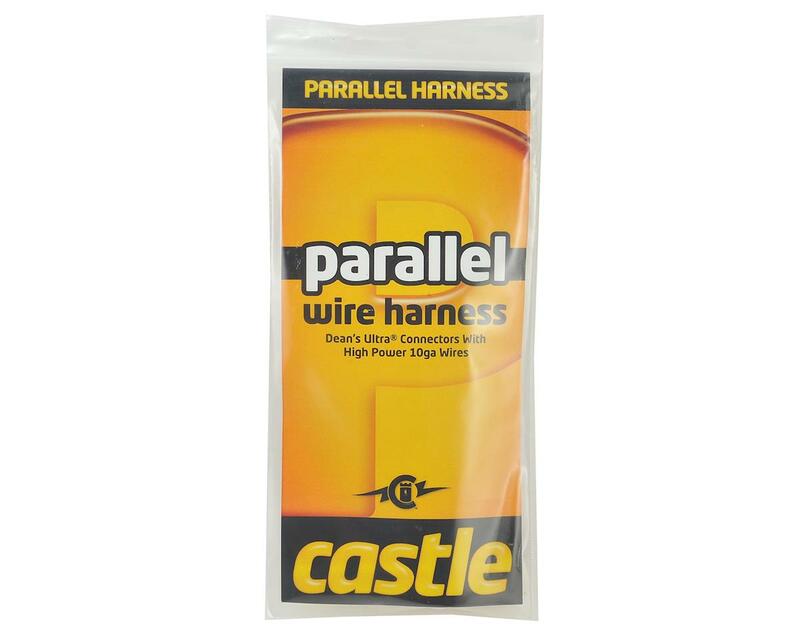 NOTE: You must always use identically prepared packs with this harness. Both packs must be fully charged and properly balanced. Both packs must be made by the same manufacturer, have the same C rating, same number of cells (2s, 3s, etc. ), and both must have the same capacity. Failure to observe this warning will result in damage to your batteries.